This isn't a reinvention, it's a refinement. 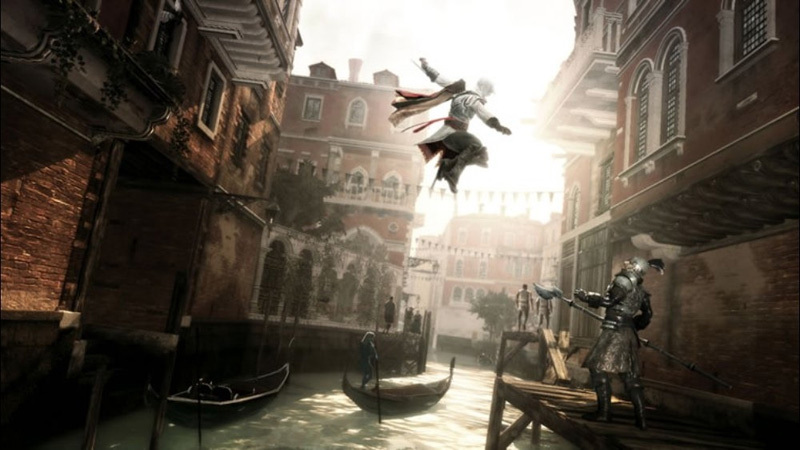 Assassin's Creed II offers, fundamentally, the same kinds of thrills as its predecessor--leaping from rooftop to rooftop with surefooted ease, appearing out of nowhere to kill your target with a quick blade, then vanishing effortlessly into a crowd. It's just been expanded, streamlined, and overhauled in ways that bring it closer to grace and make it a much easier game to recommend. Stepping back from the many disparate elements of the game, the picture that emerges is impressive. 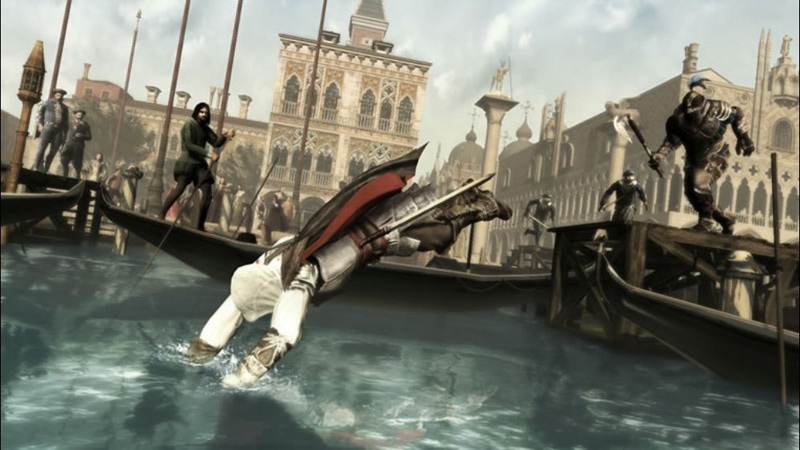 Assassin’s Creed II is a complex, mature, and engaging journey from beginning to end. It stands as a benchmark for design that combines innovative ideas with tried-and-true techniques to create one of the great games of this generation. Assassin’s Creed II has plenty of fixes and additions, but the story can drag, and the sense of awe that the parkour provided two years ago is muted. Yet new mission types, freedom from a linear quest, added depth, and a stronger historical bent fortify the overall experience. There’s still no other game quite like it, and whether you dismissed the first game or absolutely loved it, this is one creed worth taking. This is the rare sequel that offers fans of the original the basics they would expect, while adding and changing so many other aspects that even those who didn't appreciate the first should take the plunge, without hesitation. 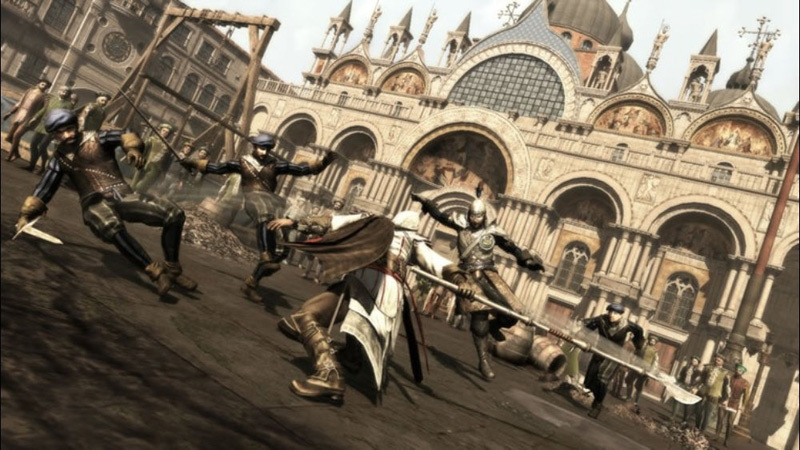 A few more contrivances notwithstanding, Assassin's Creed II is a better game than its forebear and is a beautiful and memorable experience on its own terms. But it's more than just a game--it's an escape to a place and a time that feel so welcoming, you'll be making return trips even after your initial adventure is over. With the original game coming up short in a few key areas, any slips by Ubisoft would have been flagged up for all to see. Almost all of these causes for concern have been addressed, either reworked or replaced by something better. The storyline is intricate, there's depth beyond the main quest, the presentation is wonderful, and the action is incredible at times. We've had some stunning single-player experiences this year, and Ubisoft has given us another gem to add to the list. ACII is a huge improvement because there’s tons more to do this time around. 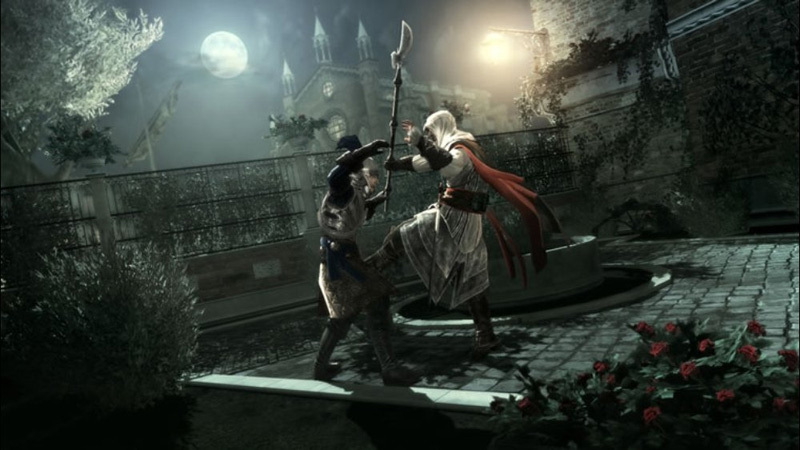 In addition to Ezio’s central story missions – which will take around 15-20 hours to complete if you blast straight through – there’s a lot of optional stuff that it’s in your interest to uncover. Aside from the side missions – which consist largely of beating up faithless husbands, racing thieves across rooftops, and killing targets for money – you’ll be able to ferret out hundreds of treasure chests, eagle feathers, semi-mystical glyphs and statuettes hidden throughout the world, gaining rewards for finding them all. AC2 is a dramatically better game than its parent. It takes itself far less seriously, it's identified what was fun and thrown out what wasn't, and it's built upon a core free-running structure that's forever spectacular and thrilling. A little sadly, its fundamental concept and structure has been seriously overshadowed by the slicker likes of Mirror's Edge (in some ways) and Arkham Asylum (in a whole lot of ways). 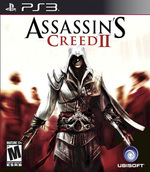 Ubisoft Montreal has never been afraid to try new things, but after a few missteps with games like last year's Prince of Persia, perhaps the bravest thing it could have done with Assassin's Creed II was simply to make a classic open-world adventure, filled to the brim with things you want to do and the narrative motivation to continue doing them. The fact it's done so suggests we really should trust the studio when it says it's taken its lesson, and fills me with hope for the third game in the trilogy. In the meantime, we not only have the Assassin's Creed game we'd hoped for in the first place to play with, but one of the best open-world games of the year. The story is one of the most complex in all of recent gaming, and the characters are some of the most developed we’ve encountered. Still, hopefully Ubisoft will see fit to tidy up a few of the game’s shortcomings – specifically the combat – for the inevitable third entry. 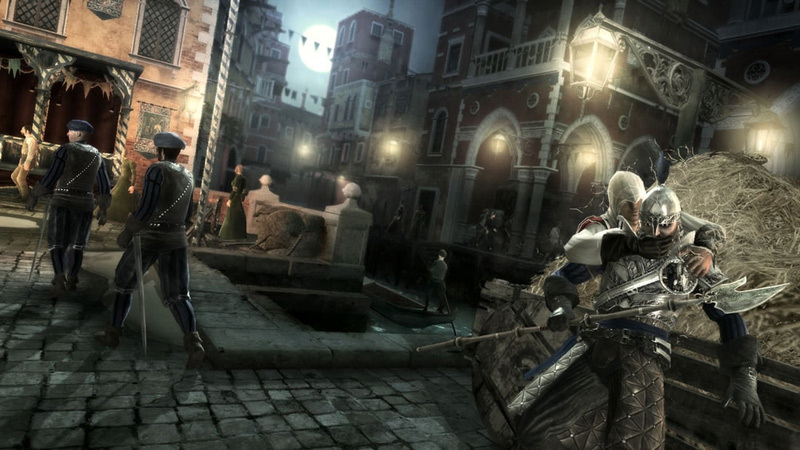 Until then, there is so much to do and see in Assassin’s Creed II, that you won’t spend much time noticing its flaws. Fidèle au premier volet, Assassin's Creed 2 change légèrement de cap. Plus punchy, malgré un démarrage franchement longuet, plus rempli, il s'efforce de garder le joueur sur les rails de sa campagne principale variée, qui ne se limite plus à une série d'enquêtes et un assassinat, tout en lui laissant la liberté de s'adonner à des missions secondaires plus variées. Assassin's Creed II é como uma pessoa, que com o passar do tempo se tornou mais maduro. Soube aproveitar o que de bom já possuía e acrescentou muitas melhorias e muitas inovações. As lutas sensacionais, uma história com muita trama que nos mantém agarrados ao jogo, as habilidades de Ezio, o enorme ambiente por explorar, com os tempos de loading super rápidos, a opção de poder fazer o que queremos, a diversidade de missões, a possibilidade de comprar armas, armaduras e melhoramentos. Assassin's Creed 2, quindi, riesce a riscattare il nome del proprio antenato, rivelandosi un'esperienza estremamente piacevole da giocare. Dopo le prime ore mai troppo incisive, il gioco si apre rivelando un'anima ricca e sorprendente, capace di reggere tranquillamente il confronto con le aspettative montate da mesi di hype incontrollato. De game is afwisselender doordat je gadgets hebt en met geld werkt, je kan je kleding aanpassen en zelfs met verschillende wapens vechten. Het geluid in de game is als vanouds erg goed te noemen en de game heeft nu ook een beetje educatieve waarde gekregen. Wij blijven dan ook het hele avontuur op de Animus liggen en kunnen nu al bijna niet wachten wat dit apparaat ons nog meer gaat bieden in het derde deel.